I am using a MacBook Pro with Mac OS X 10.5. Is there a similar function to "show desktop" (shortcut is WIN+D) on a Mac? It should hide all applications and show a clean desktop. 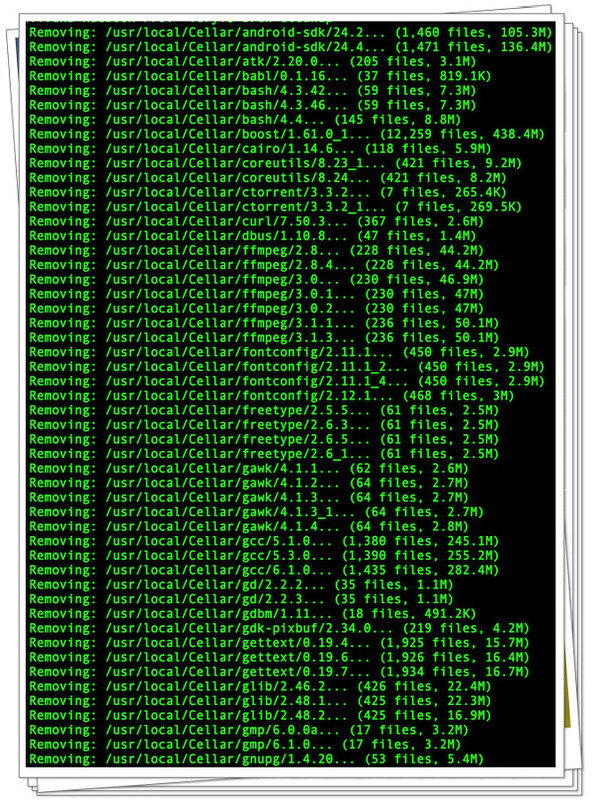 am using Homebrew to install packages on MacOS Sierra or Mac OS X. I noticed multiple version of bash or curl installed in /usr/local/Cellar/bash/. How can I delete an outdated version of brew packages and only keep the latest version on my system? Optional: openssl ?, libidn ?, rtmpdump ?, libssh2 ?, c-ares ?, libmetalink ?, libressl ?, nghttp2 ? Build with GSSAPI/Kerberos authentication support. ==> This operation has freed approximately 3.9G of disk space. ==> This operation has freed approximately 199.8M of disk space. There are several ways to view your desktop in Mac OS X: the most straight forward approach is to manually minimize all windows to the right side of the dock (Cmd+M), or to hide them behind their app icon on its left side (using the Cmd+H keyboard shortcut). But you then need to manually restore all these windows, which will quickly become tedious. There's a better way! On older versions of OS X, it's one of the Exposé keys. Starting with OS X 10.7, Exposé has been replaced by Mission Control. The default is F11. On a MacBook you will have to press fnF11, as the keys are used for controlling volume by default. If that's not the right one, look in your System Preferences to see which one it is.